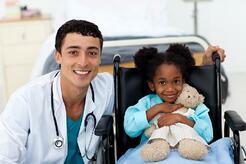 The only exclusive provider of pediatric care in the Washington D.C. area. Being one of the best pediatric hospitals in the US, our client already had a full team of DBAs on staff, but was in need of assistance. They were in the process of preparing for an upgrade and needed to better visualize their database environment, check which systems would be ready for an upgrade, and take inventory of their machines to determine if they had hardware to support the upgrade. Their IT leaders realized they did not have enough staff to be able to perform an upgrade of that magnitude themselves, causing them to reach out to Solvaria for supplemental support. Solvaria DBAs spent about a month capturing necessary data for the upgrade.